Arrgh! A Zombie Design Essay! Talk Like A Pirate Day just passed by and it got us thinking a bit about Pirates and RPGs, which naturally lead to zombies…ok, I don’t know where I was going with that, but it made a lot more sense in my head (guess I don’t have to worry about zombies wanting my brains do I?) Anyway, our Design Essay series continues with Daniel Davis telling us about ARRGH! 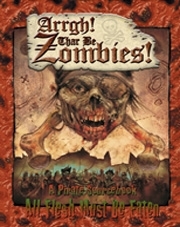 Thar Be Zombies, a supplement for the All Flesh Must Be Eaten RPG from Eden Studios! 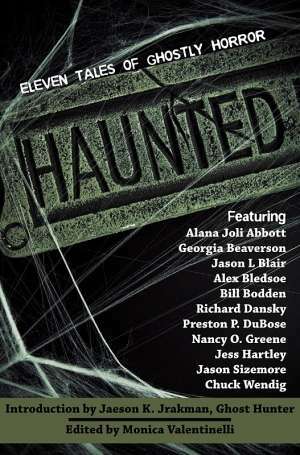 Ahem…yeah, anyway, I’m Daniel Davis, writer of the All Flesh Must Be Eaten supplement, Arrgh! Thar Be Zombies! from Eden Studios. Matt’s asked if I wanted to write up this little essay and talk about the process that brought ATBZ to the gaming table. ‘Twas a sea of shoals an’ flotsam, sun an’ fair wind, but I’ll recount th’ tale, arrgh. outline, sent me a contract, and so I heaved to, hoisted sail, and all that rot. 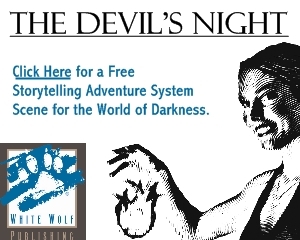 The biggest thing I wanted to remain true to was AFMBE’s roots, survival horror. ATBZ could easily have become Pirates of Penzance hokey, but the thing I like about AFMBE is its dark, survival horror aspect and I wanted to keep that as much as possible. I did have a discussion about that with the editor they assigned me. Much of the suggestions were for more of the over the top, voodoo dancing girls with snakes and Hollywood hoodoo, but I felt it’d be truer to the fans to keep with the horror aspect of the game instead of going for the lighthearted action of Basil Rathbone, Errol Flynn, or Douglas Fairbanks. There’s still some Hollywood in there, however, and you can still play Pirates of Penzance if you want. Actually, one of the playtesters ran a spoof of Star Wars to see how far you could push the system, so it’s all in the perception. I delved into research, trying to find any sources for piracy and the Age of Sail. Some of it was simple. Other things, not so much. This was just before the first Pirates of the Caribbean film, so I looked for sources like The Princess Bride and the old Basil Rathbone films for movie inspiration. I also watched The Serpent and the Rainbow again for some Vodou inspiration. For books, there were a few research materials I purchased, others found from the library. And then there was Treasure Island, of course, and the excellent On Stranger Tides by Tim Powers as far as fiction. While I was writing the book, the first Pirates movie hit the screen and I used it for a little inspiration in one of the Deadworlds, for some of the zombie Aspects, and Notoriety. Then, of course, there was the internet. Anyone who’s done research on the net knows well the dangerous waters ye tread. There was a lot of information out there, but not a ton of reliable info. Still, I managed to find some aficionado sites that seemed pretty good sources and mined those for useful bits as well. In fact, I continually struck out on two things, reliable ship details and reliable Vodou information. The first thing I knew I wanted to put in the book was a Vodou that would do justice to not only the religion, but to the setting and game mechanics. To that point, AFMBE had a few Miracles in the main book, but nothing else as far as metaphysics, and I wanted it to fit within that structure and expand some on the Miracles, something that hadn’t really been done up to that point. I mean, it is a religion, after all. However, I had Serpent and the Rainbow to go on and a couple random metaphysical books around my apartment. I figured it’d be easy to find reliable Vodou information, but it was not to be. I photocopied some things from a book at the library, followed some of the internet links there, and eventually found a couple sites from true practitioners of Dahomean Vodou. I owe my research to the houngan and mambo who run those sites. The information they gave was about the most concise and helpful info I could find on true Vodou, as opposed to Louisiana voodoo or Hollywood hoodoo. I learned much that I never knew about the religion. Still, a bit of the Hollywood made its way into the book. It sort of had to. I mean, who wouldn’t want the fear factor of a character suddenly vomiting a mass of insects or becoming transformed into a frog for their transgressions against a local bokor? My next difficulty lay in finding prices for gear and goods back during the Age of Sail, along with trying to figure out reliable sources for currency rates back in the 1700s. It was a fluctuating time monetarily, so things changed a lot as war with this country or that drove prices higher or modified exchange rates. I managed to find some sources and even some ship manifests that showed the prices of the goods aboard the vessels, which was a huge help. I contacted a fellow AFMBE player in England for a good source for the English currency of the day and even some exchange rates. If Vodou was the most difficult thing to put together, ships and ship combat was the close second. As I said earlier, there’s a lot of unreliable or conflicting information out there. Also, the more research I did, the more I found to add to the chapter. Sail types, cannon shot types, the effects of cannon shot on ships, fires aboard ships, crew ability, torture, disease, mutiny, everything you could think of. Sadly, there are some things that never made it into the book, but I hope to one day see it in a web enhancement. The second thing that made ship combat so daunting was that the creator of Unisystem, CJ Carella, already had his own ideas on wooden ship combat, which I didn’t know until I’d written the chapter. I ended up having to wait for the file and then retrofit it all into what I’d written. A daunting task, but eventually, it came together. The Deadworlds were probably the simplest to put together of all of it. This was another of those editorial arguments I had. I wanted to keep that survival horror aspect, regardless of the setting. I did end up cutting one Deadworld and added Islands in a Dark Sea, which was probably the biggest sticking point and is actually the Deadworld I’ve seen the most positive reaction to. I was incredibly happy with how that one turned out and it was nice to hear that others liked it as well. Even after the book was finished, after one editor had to leave and another took his place, there was playtesting and many tweaks. Unfortunately, with the first editor gone, ATBZ sort of sat for a while on the playtester list and some other, also excellent products, passed it in the queue. Pirates II passed it as well, as did Pirates III, which would have been good times to get it out, but between a personal life issue of my own, Eden’s monetary hit with Buffy and other things, and the recession, it sat around, lurking like a local fisherman out for a pleasure cruise at night through eel infested waters. Still, it did sail out into the light o’ day an’ I’m ‘appy as Jolly Jack ‘imself t’ see it. It was fun, it was maddening, it was exhilarating, it was daunting, it was frightening, just like sailing across the seven seas and battling the undead, and I’m happy to have had the chance to do it.